Our experienced Michigan personal injury attorneys have been serving Michiganders injured in accidents for over 40 years. We have won major settlements and jury verdicts for people just like you. If you have been involved in a Michigan personal injury case, we can help you recover the settlement amount you deserve. This is usually one of the first questions we are asked by our clients. Unfortunately, this is a difficult question to answer because each case is unique. There are several different factors that can go into determining the final settlement value of a particular case. Here are just some of the long list of factors that are considered. 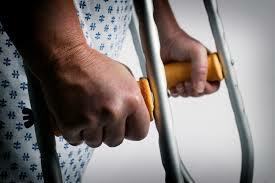 How serious are the injuries suffered by the injury victim? Is there an insurance policy that will cover the injury or accident? Which insurance company is covering the injury or accident? Without extensive knowledge of the situation, no honest Michigan attorney will be able to accurately predict the settlement value of your case. This is why it is important to sit down with an attorney and explain your situation. The attorneys at Buckfire & Buckfire, P.C. have been using their skill, knowledge, expertise and reputation to win favorable settlements for many decades. In fact, 97% of all cases we handle are settled before ever going to trial. To speak with an attorney about your case, call us today at (800) 606-1717. We will listen to your story and determine if you are eligible to file a lawsuit. Of course, we do not charge any legal fees unless we successfully recover compensation for you. This is our No Fee Promise. There is absolutely nothing to lose, so call our top rated lawyers today to get started on your personal injury claim!